Happy Summer! I hope you’re right now doing something you Love and makes you Feel Good! We’d love to contribute to that and, to make your pregnancy and motherhood journey even healthier, more centered and ultimately happier, the Barre&Baby team have created some exercises for you to practice this month, to enjoy the benefits of what dancing with your baby close to you or inside your body can give, even whilst classes are on break. 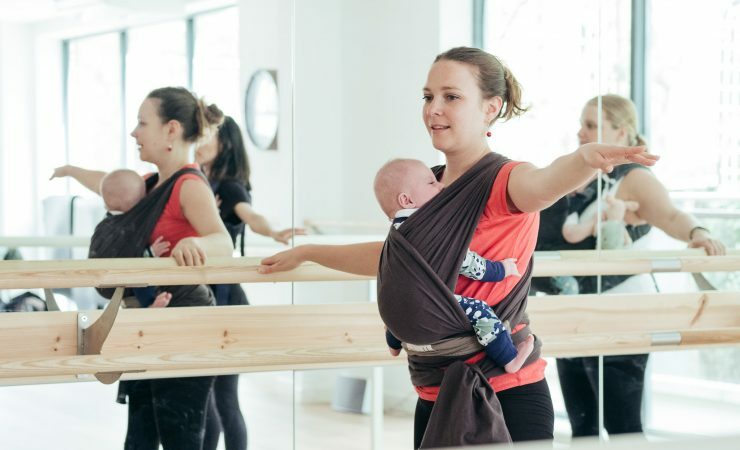 A Barre Routine for all mums with their (visible and invisible) babies! A choreography for all mums with their (visible and invisible) babies! To let go… and dance! Everyone can enjoy these practices, even those of you who’ve been joining Barre&Baby classes years ago but would still love to enjoy the nurturing and creative powers of ballet in their ever-changing lives! Make sure you dedicate some time to yourself this summer. You and your baby deserve a happy and discomfort free journey together! – How did these exercises and choreographies make you feel during and after practice? – What more would you like to receive from Barre&Baby when we’re not around? Thank you, as always, for welcoming us in your life and allowing us to be part of the wonderful journey you’re living!